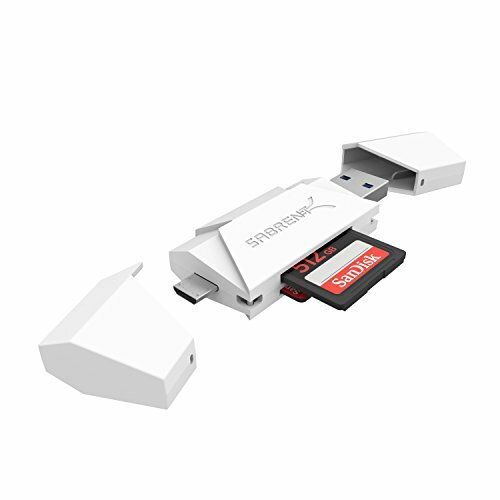 The Sabrent CR-UMMW 2-Slot Card Reader offers a compact solution to access the most popular flash media, including SD, SDHC, Mini SD, Micro SD,T-Flash. 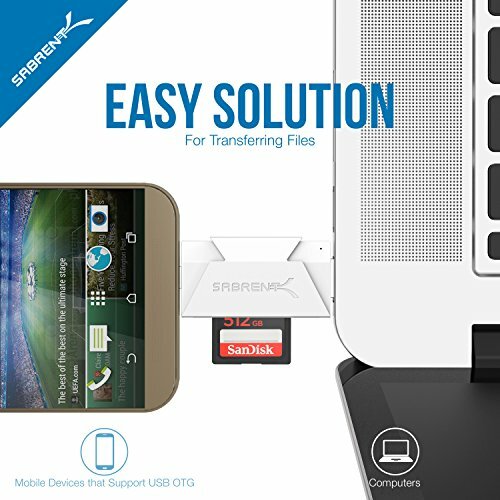 Easily transfer files from your flash memory to your computer at superfast USB 3.0 speeds of up to 5Gb/s (reverse compatible with USB 2.0); or you can use the Card Reader, with memory inserted, as a virtual thumb drive and transport your files from your computer on the go. 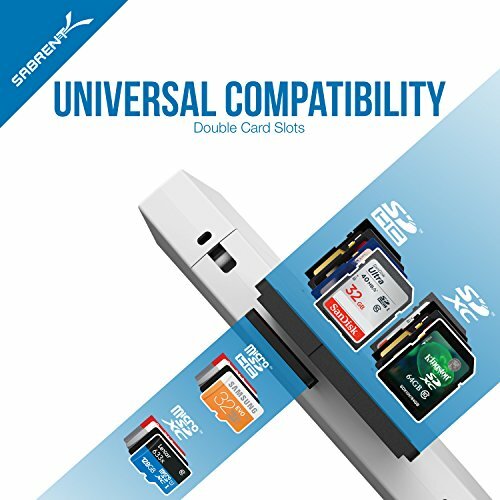 The standard USB 3.0 plug (type A) and micro USB plug (type B) combination, making this card reader compatible with all tablets and Android smartphones that support OTG function. The driverless plug & play solution makes for easy installation and no driver CD is needed. Also includes an LED to indicate power and activity. 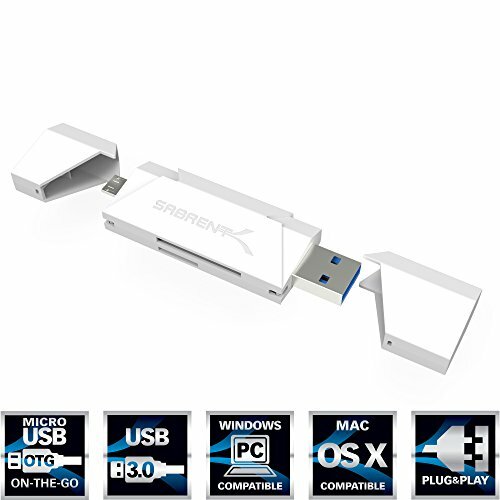 Supports SDHC (UHS-I), SDXC (UHS-I), microSD, microSD (UHS-I), and microSD (UHS-I) How it works: Simply Plug & Play Requirements: • Windows XP/Vista//7/8/8.1/10 • Mac OS X v10.3.9 or later • Available USB port (USB 3.0 port for Hi-Speed mode) or micro USB port What's in the Box: • CR-UMMW Card Reader/Writer Warranty information: • 1 year limited warranty. 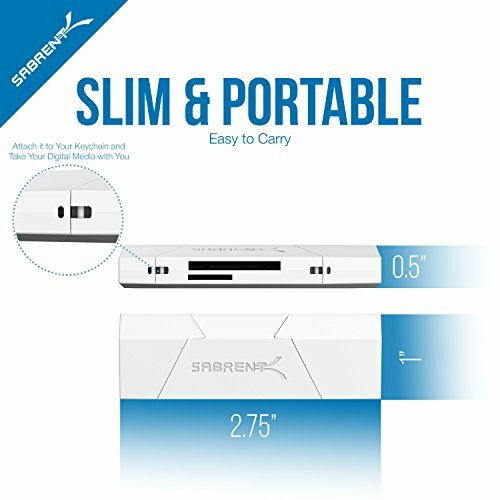 • When you register your new Sabrent product online within 90 days of purchase, your standard 1-year warranty coverage is extended to 2-years. 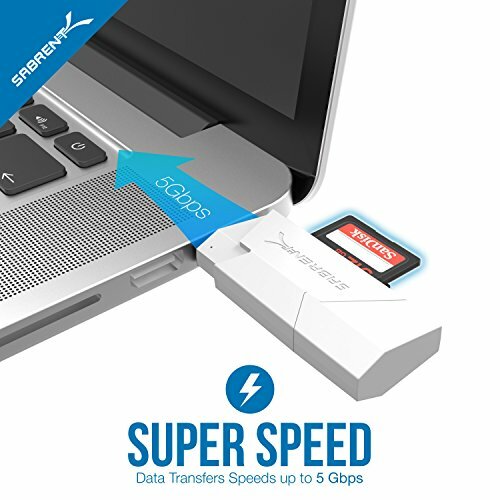 SuperSpeed USB 3.0 for maximum performance. Backward compatible with USB 2.0 hosts. 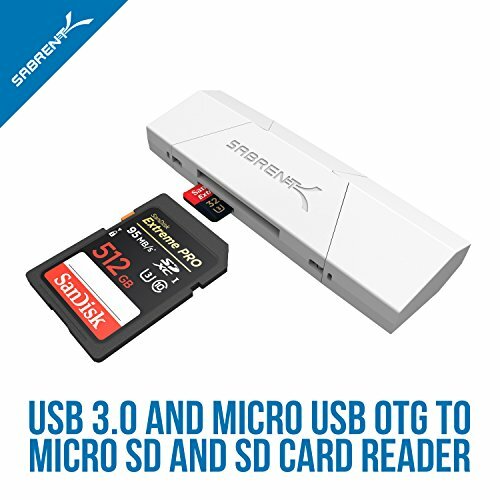 The standard USB 3.0 plug (type A) and micro USB plug (type B) combination, making this card reader compatible with all tablets and Android smartphones that support OTG function. 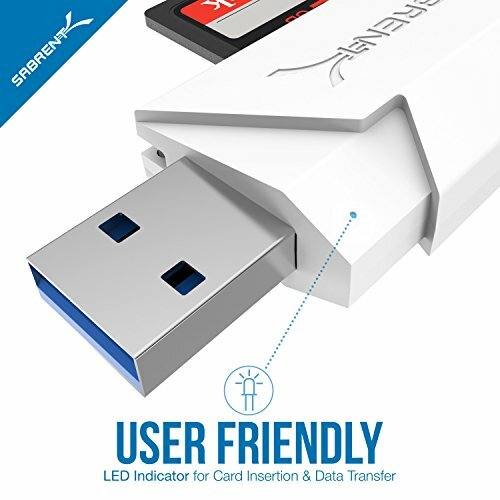 Easy to take, use and install, no additional software installation required. 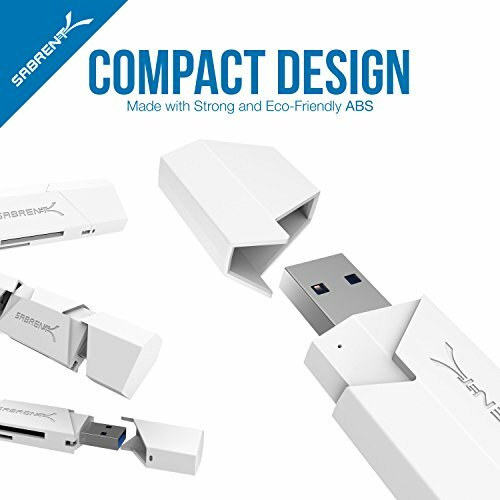 If you have any questions about this product by Sabrent, contact us by completing and submitting the form below. If you are looking for a specif part number, please include it with your message.